Decreasing the exposure removes one exposure from a selected cell. Repeating this action removes an extra cell every time. This is a rapid way to reduce a drawing exposure and remove the exposed drawing. ‣ In the top menu, select Animation > Cell > Decrease Exposure. ‣ Right-click on the selected cell and select Exposure > Decrease Exposure. In Harmony Xsheet,select Selected > Decrease Exposure. ‣ Click the Increase Exposure button in the Xsheet View and Timeline View toolbars’ extra buttons. 3. 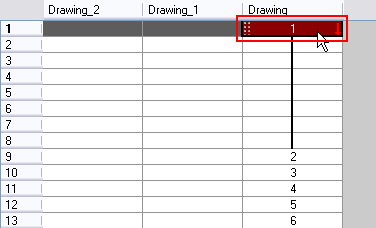 Repeat this action to decrease more cells to your drawing’s exposure.